This is almost getting comical. Don't get me wrong. 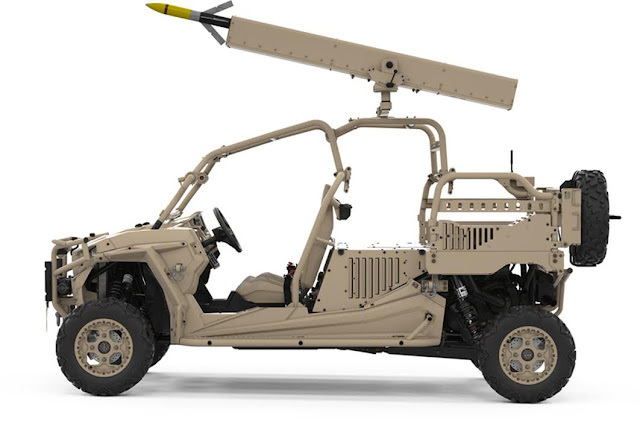 I like the idea of a lightweight guided rocket, but to mount them on UTVs? The lightweight vehicle craze and the weapon systems attached to them is getting a bit out of hand! I long for the good old days of SEALs and Force Recon slapping big guns to their dune buggies and zooming out into the badlands with enough commonsense to call for fire if they ran into something big. These are at BEST raid vehicles, not stand and fight rigs! Side note. Arnold Defense, the producers of this guided rocket system, are not advocating for this. From my reading they're simply offering the top pic as an example of its lightweight and a possible application!